I once fell in love with a slice of kentucky derby pie at a restaurant, though my dreams of recreating one were stumped by the limited recipes online. Here is a gift, with help from Paula Deen, to the chocoholics out there! Don’t be fooled. 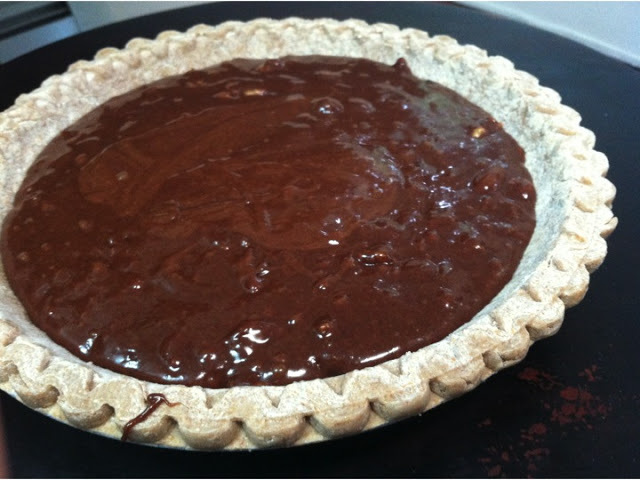 This isn’t just brownie batter in a pie shell. 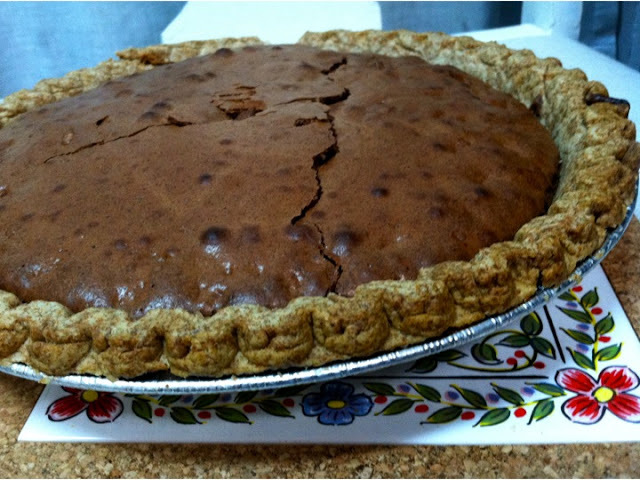 Well, it’s the best darn brownie you’ve ever had in a pie shell. Warm and gooey with cardamom, and a slow and subtle hint of chili. This would be a real treat with a scoop of cinnamon ice cream! Inspired by Paula Dean’s recipe for “Corrie’s Kentucky Pie.” Her recipe uses self-rising flour, which I didn’t have on hand. I followed this Baking Bites recipe for substituting all-purpose flour and baking powder. In principle, to make 1 cup of self-rising flour, you need 1 cup all-purpose flour + 1 teaspoon baking powder + 1/4 teaspoon sea salt. 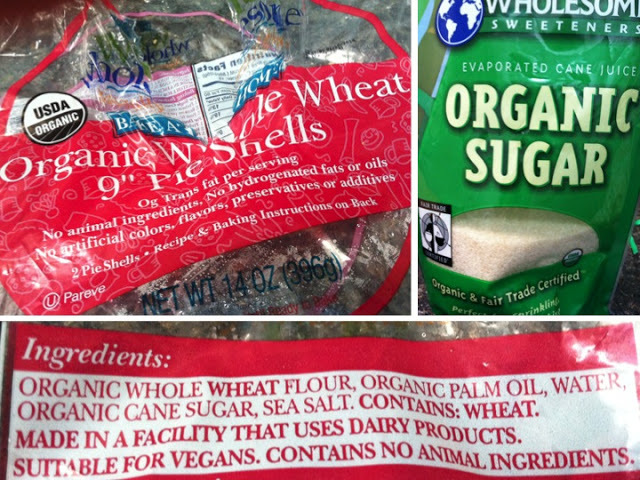 Good signs on the front of the label: USDA organic (better than no organic), “no artificial colors, flavors, preservatives or additives.” Verify those claims on the back of the label in the ingredients list. 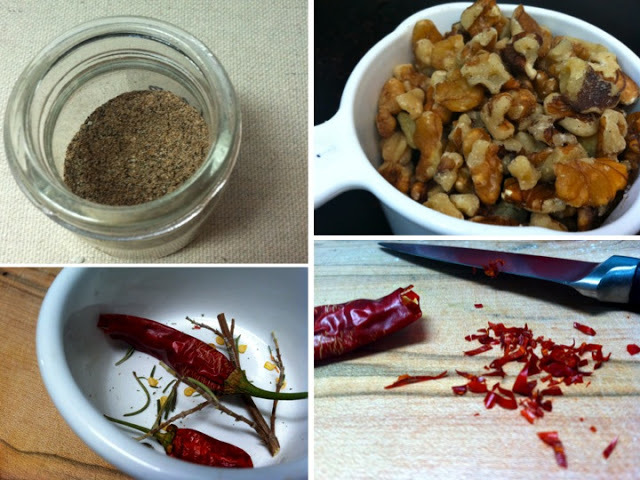 Do you see any ingredients you can’t pronounce or you wouldn’t stock in your kitchen? No. And this list is fairly short to boot! (The sugar I use for all my baking and sweetening, if I’m not using honey or agave). Melt the butter and set aside on a hot plate. 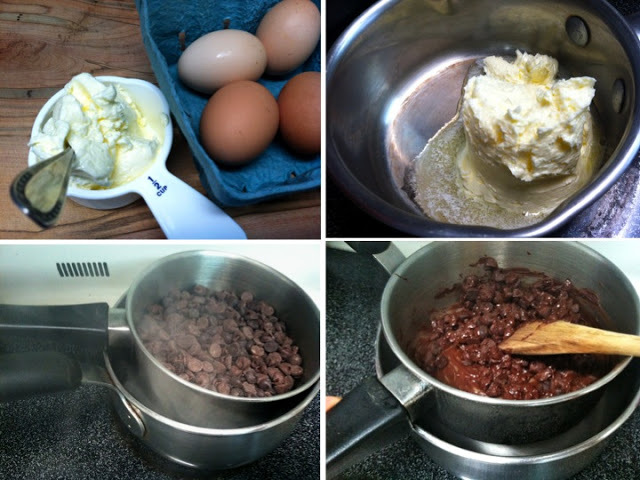 Melt the chocolate by placing the chips in a smaller pot, over a larger pot with 1 inch of water. This is a makeshift "double boiler." Stir until the chips melt. 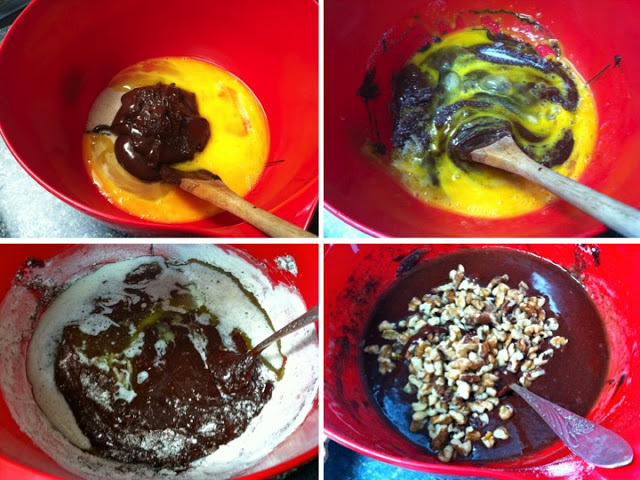 Combine the eggs, sugar and melted chocolate in a large bowl. Stir in remaining ingredients, and mix well. Pour the batter into the pie shell. Bake for about 55 minutes, until a knife or a toothpick comes out clean. Let the pie cool on a rack. Serve with cinnamon ice cream or heavy cream!